The root of it all is to figure how we can take more off our plate. Why are we so busy? Can we arrange our schedule to simplify a little more? But some days are simply so and that’s that. I get it! Here’s an example of a day that we had too many things happening. It may not be your favorite meal but at least you can feel good in your body. My daughter had a class at 11am on a Sunday. 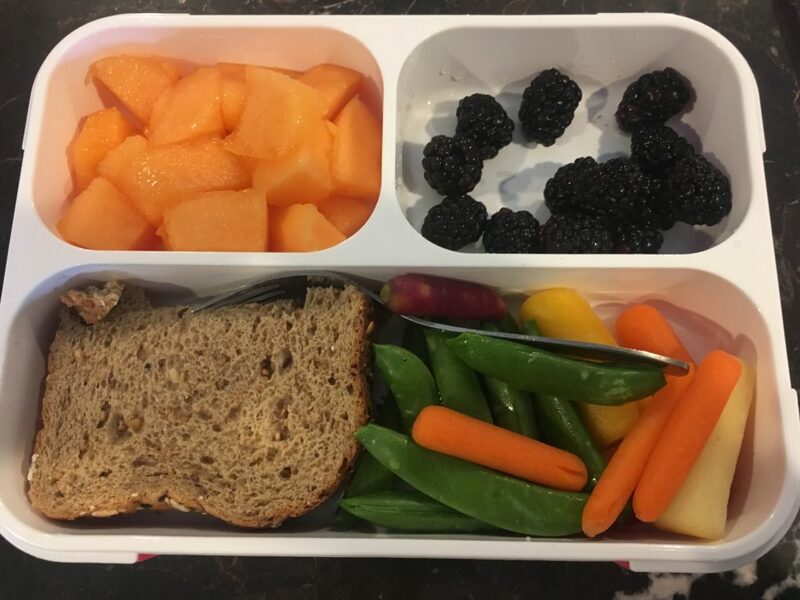 We as a family normally eat lunch around 11am (because we get up so early) so I packed her a bento box full of veggies/fruit and a backup, simple PB&J sandwich for emergencies (“h-angry”). I over-packed this so that my husband and I can snack too because I know we both would be hungry (she ate most of the berries before I could take the picture). Since we didn’t leave the house until 10:30am, I had time to go for a quick run and get my self-care in. 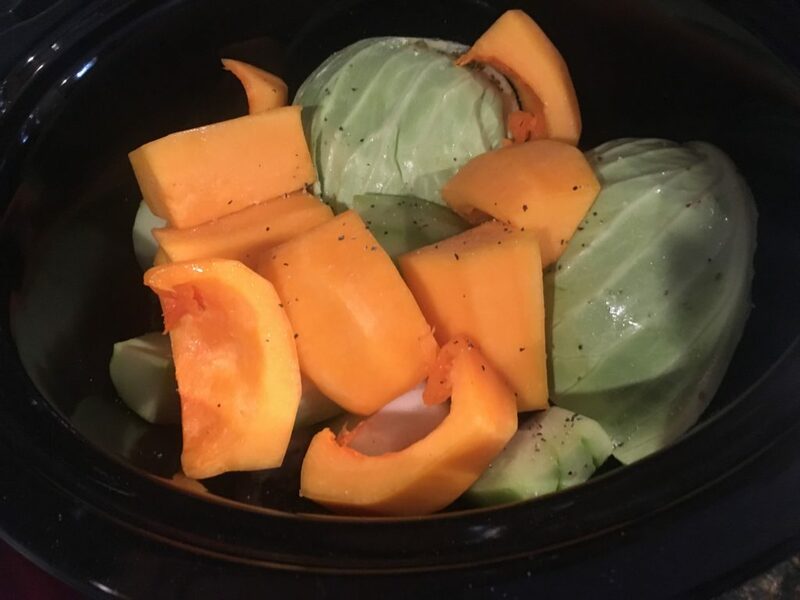 I put some chicken and cut up big chunks of cabbage and butternut squash in the crook pot with spices/seasonings. (Do all this the night before if you don’t have time in the morning). 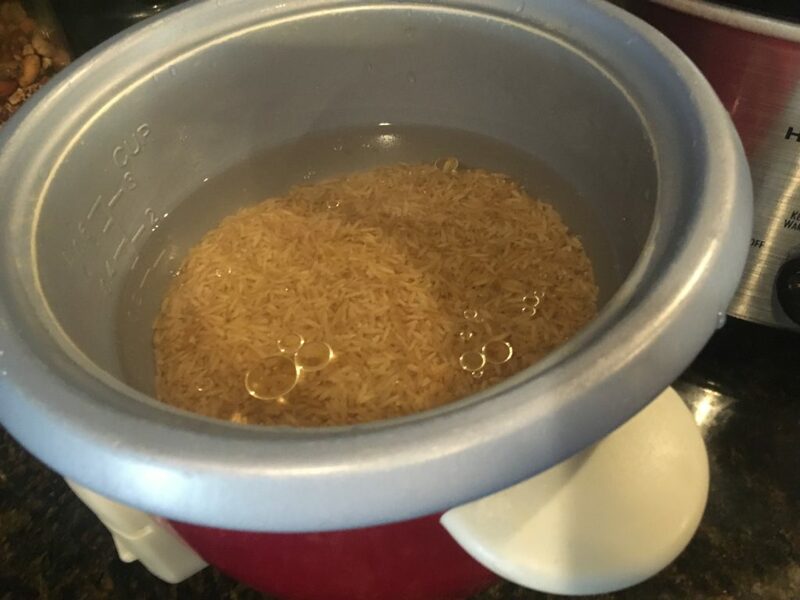 Then, I put some rice in the rice cooker. All of this took a little planning but not much work at all. You can use different vegetables in your house, different grains (like quinoa), or other types of meat but try to use red meat sparingly for health and environmental reasons. We went off to her class and enjoyed our lunch out at 12:30pm. My family enjoys lunch outings on the weekends. After lunch, we had a show to attend. We try not to overbook our days but things happen and this was all fun stuff. We didn’t arrive home until 5:30pm. My daughter happens to sleep at 6 pm so there would not have been time for cooking. Thank goodness, we came home to a house smelling like yummy, slow-cooking stew. Feel free to add a side salad or greens to the stew, etc. We enjoyed family dinner together and relaxed the rest of the night while she was sleeping. Every family is different so you have to adjust to your needs. If I didn’t do this, the alternative would have been eating out for lunch and dinner which doesn’t feel great in my body. Plus, dinner would have been later and we would not be home until after 6:30pm, resulting in a cranky, difficult-to-deal-with toddler. For you parents, you understand me. Or the other alternative would be to microwave something quick but we (all of us) aren’t quick and convenient. Plus, I want my family to thrive and it starts with food. 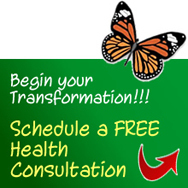 It is the building block of all our cells and the body that we use. Any new change takes time. I hope I was able to illustrate that although this took a little planning, that it really wasn’t that hard. After eating clean for a while, your body craves it and you are more and more willing to take the time. You know why? Because you are worth it! You are worth the time, the quality, and care. Never shame or judge yourself, but do focus on solutions.